DWSN were proud to sponsor this year’s Law Society Gazette Conveyancing Roundtable chaired by Editor, Eduardo de Reyes and hosted by TLT. Exploring market changes and the impacts of changes in Stamp Duty and Brexit, as well as the urgent challenges around referrals, the standing of conveyancers, pressure on fees plus cyber fraud. It was a morning of lively, generally upbeat and informed debate. 15 years of being clearly essential! 2017 sees the 15th anniversary of the CON29DW. Developed in 2002 by the Law Society, government departments and water companies, the CON29DW has been continuously ­ improved and updated to reflect an ever-changing water industry and legislative framework. From just two questions in the local authority search, the new CON29DW enquiry was developed in 2002 to include the location of sewer and water mains, the connection status of a property, and billing information. 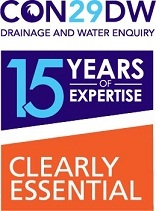 Today, the enquiry comprises 25 standard questions answered in full, from sewerage and water asset information to sewer flooding history and connection information, giving peace of mind and mitigating risk for homebuyers, property owners and conveyancers alike. The CON29DW is compiled by specialist teams with years of experience using a vast range of water and sewerage data, checking and reviewing each report, then passing the data through various quality and review stages, before it’s delivered to customers. There have been multi-million pound investments in this service by CON29DW producers in order to improve product quality and speed of response. Today, over 95% of reports are delivered within five working days. From April 2017, all non-household customers in England will be able to choose their supplier of water and sewerage retail services. This is a result of a change in the law under the Water Act 2014, designed to introduce competition into the water industry. As a result, CommercialDW providers have had to make a small number of changes to the CommercialDW Enquiry. Whilst existing water companies will still own and maintain water and sewerage networks, services including billing, handling customer queries and complaints, and meter reading will be provided by a number of different companies (see www.open-water.org.uk/). 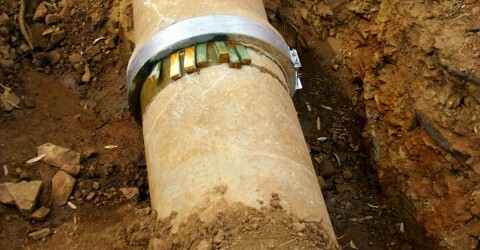 This change will have an impact on the Commercial Drainage and Water Enquiry (CommercialDW). This briefing note explains the changes and what commercial property conveyancers need to be aware of. In support of the roll-out, the Law Society have provided guidance notes, developed in consultation with Land Data, the Local Land Charges Institute and the Local Government Association, to provide guidance to local authorities in replying to CON29 and CON29O enquiries of local authorities. Click here to view these guidance notes. The Law Society has been working closely with CON29DW providers to develop the updated CON29DW enquiry form for the 4th July 2016 deadline. The updated CON29DW reflects changes in legislation and so provides conveyancers with the most up-to-date information available when advising their clients on the impact of water and waste water networks in relation to property purchases. A briefing note explaining the changes to the CON29DW enquiry can be found here. Working in consultation with The Law Society, The Drainage and Water Searches Network(DWSN) agreed changes to the CON29DW to ensure that the Enquiry provides conveyancers with the most up-to-date information available when advising their clients on the impact of water and waste water networks in relation to property purchases. • Provision of water hardness information. The briefing note explains the changes and what conveyancers need to be aware of. A sample of the updated CON29DW is provided here for you.